And real affordable price ! in the small village of Tamraght. The Camp is managed for several years by Mohcine Ababssa, friendly surf instructor renowned in Morocco, and his wife Maria Teles da Silva. Together, they will guide you along your staying in Morocco. The village of Taghazout is also known as the "Surfer's Village." It is located between the first strong against the High Atlas and the Atlantic, in a prosperous region that reveals a diversity of rare wealth, as argan oil, honey and all kinds of spices each Wednesday "souk". Located a 100 meters from the beach, in a kind Villa accommodation you can take surf lessons or go on supervised daily Surf trip with a local surf guide. We provide unique surfing holidays, incredible service and great value at stunning beachside locations in one of the world’s greatest surfing destinations. 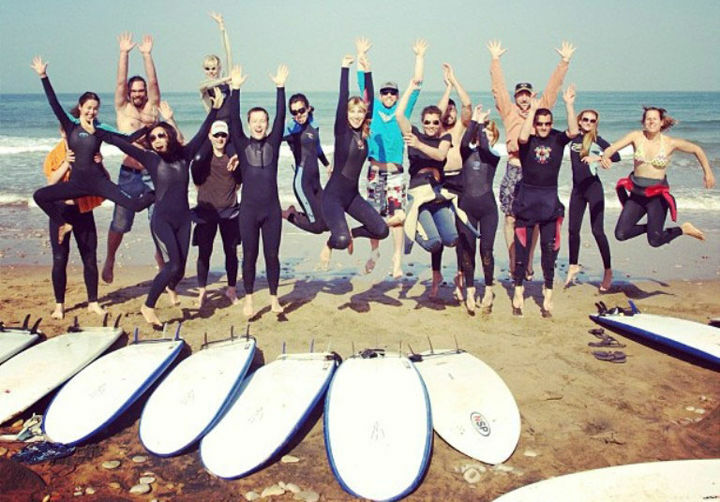 Our surf camps, surf school, surf trips, Yoga Surf Retreats, surf equipment hire, car hire and much more are run by a fun, sociable, passionate team dedicated to giving you an unforgettable surfing experience. 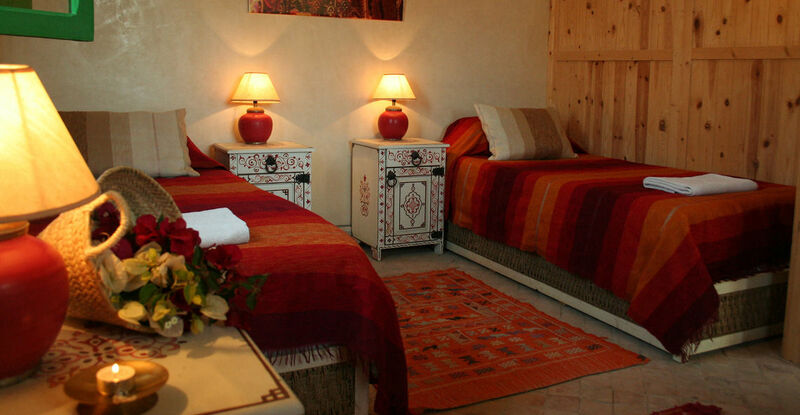 Our main accommodation is located 100 meters from the beach in the small town of Tamraght, next to Taghazout. It's a perfect place to relax and discover the region, mainly for the surfers and for those who like adventures of every kind (jeep 4x4, trek, horses, camels, mules, VTT, quads...). Comfortable accomodation a walk way from the beach with 3 panoramic terrasses with view to the ocean. The top terrasse has a common room with satelite tv, wifi conection, dining room, chill out zone, bathroom, kitchen, a small bar and a yoga place. A comfortable stay in a Riad 100 m from the beach, with bar , restaurant, pool , computer with internet , satellite TV and music. All rooms have private bathrooms . The apartments have a capacity for 2-6 people. Breakfast and dinner are included in the Florida Restaurant Taghazout . All apartments consist of two bedrooms with queen beds or 2 single beds, a large living room , fully equipped kitchen (fridge , stove, dishwasher) and bathroom with shower. In addition , a magnificent terrace with panoramic views . TV with digital receiver in each apartment unlimited ADSL internet connection. The waves resonate at 20 meters from the apartments . 2 small private beaches are about a hundred meters, and a series of huge out of sight beaches are just a few kilometers away. Apartments are situated in the picturesque fishing village and away from the crowds and noise , providing a haven of tranquility and a good starting point to go and exploit the area. Stairs take you directly course the beach . 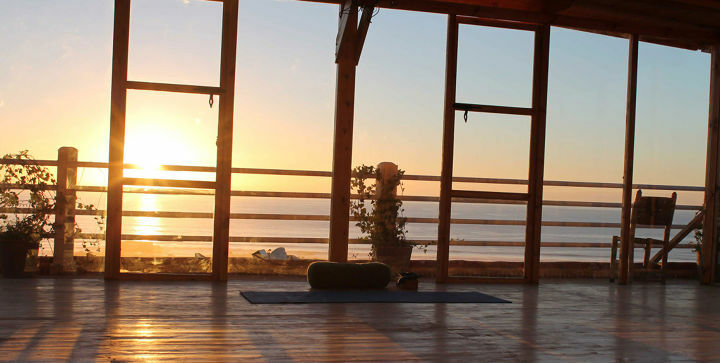 Children are welcome, but are not under the responsibility of the Surfcamp but from their parents. The 3 surf instructors are all local and approved by the Moroccan Surf Federation. Surf classes all day, 6 days a week. Fully exposed to the swell of N / W descending generated by the depressions of the North Atlantic Moroccan coast receives all types of waves. With wind protection offered by some rocky spots pointbreaks, conditions can be fantastic in winter with waves 1m to 3.50m. 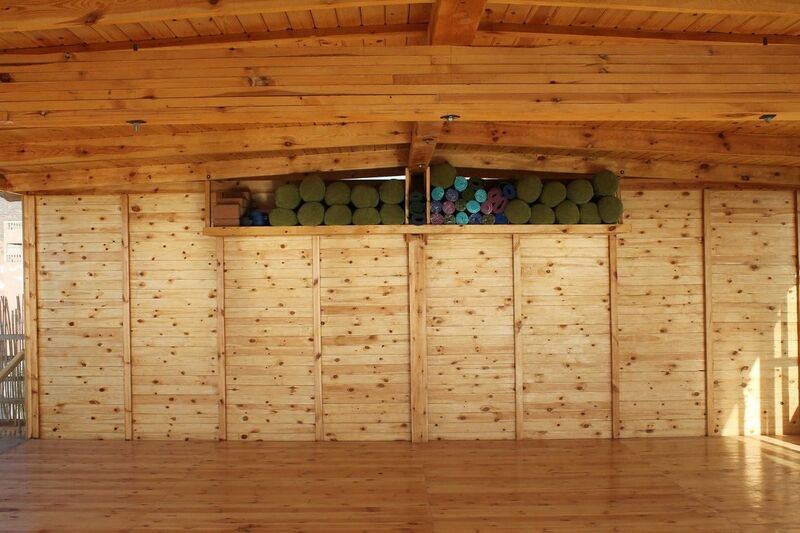 From May to September, conditions are more uncertain and less regular, but you can have some great sessions. In this land of extraordinary Surf, Morocco waves have a very good quality. The region of Tamraght contains all the mythical spots. Surf for all levels available in this region. Rather ideal for medium or novice surfers. Hash Point: Wave for lazy surf smokers! Small sand beach. Panorama's: Right hand, good in low tide. Very good for beginners. If you want to learn more about surfing, you need to stop there. You definitely have to understand the romantic fascination that Morocco has exerted on the Western artists.Imperial cities, Berber Kasbahs, sumptuous mosques…the former French protectorate knows how to take the various faces of an Eastern charmer. Its gastronomy reveals new tastes in every meal; its snowy summits and its canyons seduce those who are insensitive to the vastness of the desert’s charm. Its coastal towns are resting-places after the visit of the medinas, its cities take turn with the red-ochre ramparts and the doors slightly carved and gilded. FORMALITIES : a valid Passport is required for travelling without any hotel reservation. European Union nationals whose stay (3 hotel nights max) has already been paid at a travel agency can be satisfied with their national ID. LANGUAGE : Today, like every Arabic country, we distinguish the classic Arabic (or literary, accessible to the literate people) which is the language of education, administration and medias from the dialectal Arabic, spoken language that change according to the regions and the social classes. HEALTH : No vaccine is required by the authorities for those coming from Europe. Some vaccines yet are useful for the traveller’s own safety. TIME DIFFERENCES : Morocco is set to the Greenwich meridian time (GMT). When it is noon in France, it is 10.AM in Morocco in summer and 11.AM in winter. WEATHER : Morocco’s climate is very different according to the regions: Mediterranean in the North, Atlantic in the West and Saharan in the South. Only the coastal regions are temperate. It also changes according to the seasons. Temperature gaps are sometimes very large in the same day. DRIVING CONDITIONS : Moroccans have their own way to read the road signs. Here, everything can happen ; therefore you need to pay attention.You should not drive at night. In case of accident, call right away the consulate and then the Police. WATER/ELECTRICITY : avoid fresh juices, ice cubes, fresh milk and seafood outside restaurants or hotels. The mineral water has to be opened in front of you. CURRENCY : Moroccan’s money is Dirham. 10 dirhams (Dh) is about 1 euro. Credit cards are accepted in most important institutions (hotels, restaurants, shops) and in most gas stations. Between May and August 15% off in all the packages.